Move in Ready! Furnished photos coming soon. This is the upstairs unit of a 2 story duplex. Unit is the entire top floor. It includes a parking spot. Garage belongs to the downstairs unit. The laundry room is large and is located downstairs with 2 double doors for easy access to store large items. 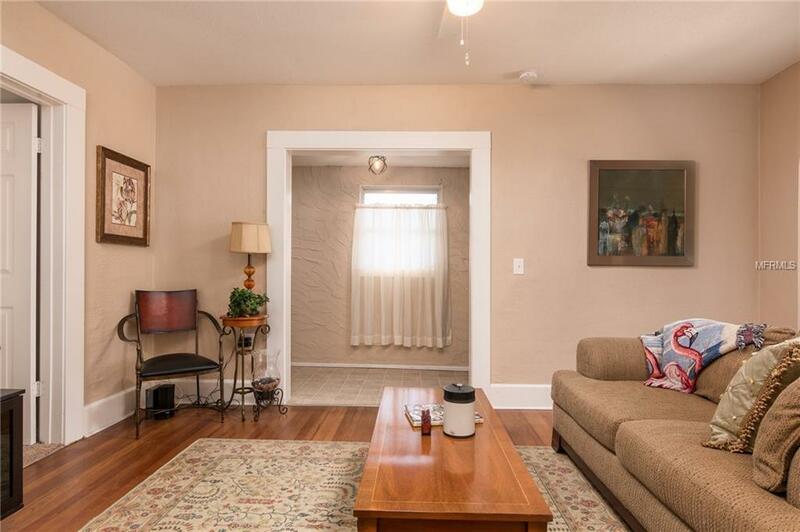 This charming 3 bed, 1 bath offers, central heat and air. The cozy kitchen includes a microwave, range and a side by side refrigerator. There is additional street parking available. Heavily wooded for privacy. The master bedroom includes new carpet and the room itself is huge, 22' wide. Updated electrical with new fire alarms and outlets. All bedrooms include fans. This unit has a breakfast nook and coat room. 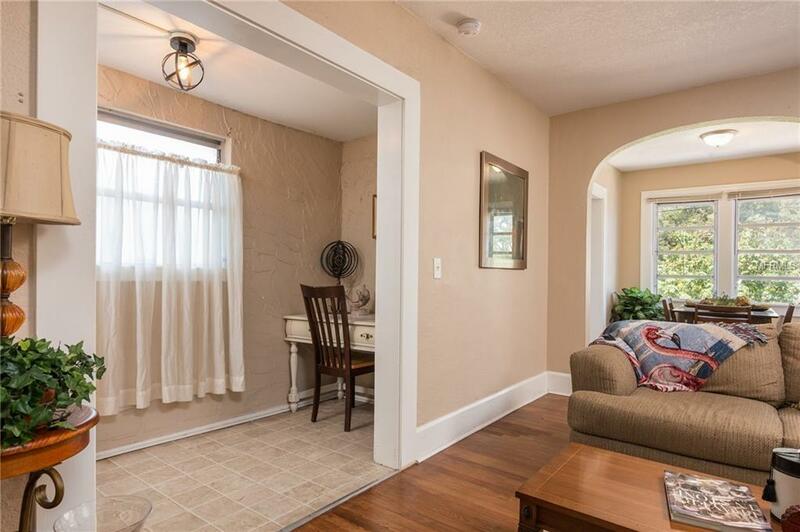 The secondary bedrooms, dining area and family room have newly refinished hardwood floors. A new set of stairs was installed, summer 2018. $40.00 application fee per person. Tenant pays all utilities. Landscape service and pest control included in rent. You are 8 minutes to Downtown St. Pete heading East on 1st Avenue North and 15 minutes heading west gets you to Treasure Island Beach! Tampa International Airport is only 30 minutes away. 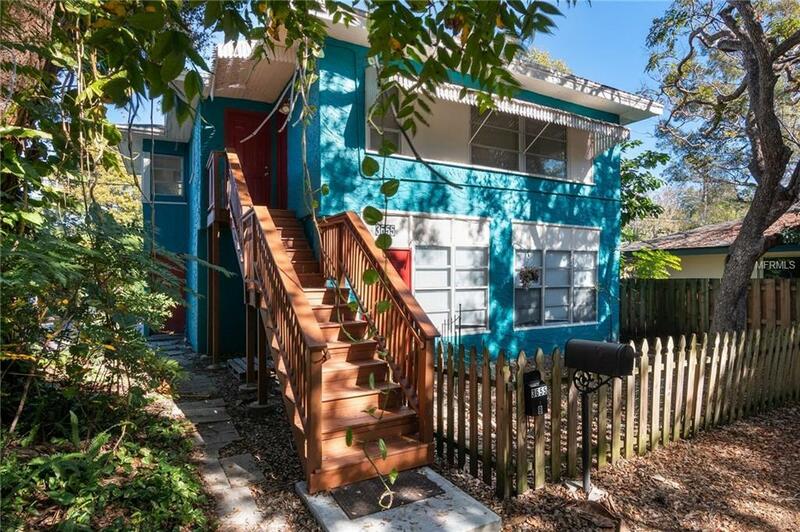 You are walking distance to Taqueria, Walmart, Burger King, YMCA, St. Petersburg High School and a public library and the bus stop. Just 2 miles to 275, 3. 8 miles to Beach Drive! Times vary depending on traffic.